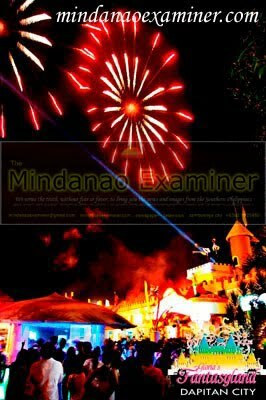 DAPITAN CITY, Philippines (Mindanao Examiner / May 6, 2011) – Zamboanga del Norte province in the southern Philippines is all set for the grand celebration of the Hudyaka Festival and thousands of local and foreign tourists are expected to flock to the historic Dapitan City. Tourism officer lawyer Ivan Patrick Ang said systematic preparation has been done by the provincial and city government for the month-long celebration. The province is also hosting the Palarong Pambansa. Ang, who is also the deputy chairman of the Palarong Pambansa Executive Committee, said the festival will also showcase various programs that feature Zamboanga del Norte’s culture and heritage. Display booths for agro-industrial showcase have been set-up near the Dapitan City Aquamarine Park and are expected to attract traders and investors from all over the country. Hudyaka is a Visayan term which means vibrant, full of action and merrymaking of the people to celebrate a festival. The word fittingly described the yearly celebration of Zamboanga del Norte’s founding anniversary that falls every summer vacation in which the provincial government finds the event a perfect medium to offshoot its offer to push tourism development. Hudyaka Festival is considered to be the mother of all festivals in the province and features various interesting jovial celebrations of the 25 municipalities and two cities that converge in a single revelry. “It’s more than a celebration. The festival does not only bring people closer together but it also boasts the economy of the province,” Ang said. While festival-goers value its social benefits, exhibitors and business operators also expand profitable advantage. Hudyaka serves as an element to the advancement of the province considering its intense economic and cultural contribution. “It offers a lot of exciting summer sports events – scuba and skin diving, breathtaking zip line adventure, swimming, beach volleyball and a lot more activities that will make your summer worth fun and memorable,” he said. And if traveling is a passion for many people, the province is a must travel destination this summer. “This summer vacation, you will not be dreary and empty of what activities to do because Zamboanga del Norte is not only offering its finest treasures of fine white sand beaches, unique caves and islands that will surely captivate the hearts of every sightseer, but also entice them with much life and enjoyment in this once in a lifetime grand back to back celebration in the Shrine city of Dapitan, a historic place for every Filipino,” promoter said. A multihued reverie will sure to spark as you get on the place captivating a massive experience of a wild vacation. Zamboanga del Norte is accessible to all modes of transportation, whatever your mode of transport there is always a safety road for itinerants and flight path for travel enthusiasts. This neck of land province can be easily reached by a daily flight to and from Manila and Cebu and reachable also by sailing boats daily with routes to and from Negros and Cebu Islands. Zamboanga del Norte has a wealth of must-see attractions including the pristine white beaches and stunning sceneries that would surely enthrall the heart of those beach connoisseurs. Beaches come in every sizes, color and form; from the pristine white sands of Dakak Park and Beach Resort to white sand bar island of Pinyahon, Aliguay and Selinog. You can truly find a beach for any form of seaside activity, from a saunter walk in the shimmering sand of historic Dapitan beach to an enlivening ride in the loud and exuberant surf to white island adventures. But if you are into diving, Zamboanga del Norte offers amazing gifts to all divers – the beginner, advanced and other adventurous individuals. For equally impressive shore diving and sea snorkeling you can book for such adventure at Dakak Park and Beach Resort, however if you prefer boat diving, there are a lot of sites you can explore underwater grandeur.